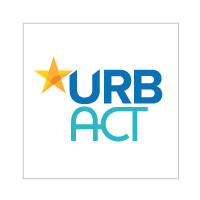 Join the URBACT Secretariat team as a Communication Intern! Communication activities are a strategic pillar for the programme, aiming that our stakeholders (doers and thinkers in the field of integrated urban development) from all over Europe have access and share relevant knowledge to foster sustainable urban development. The Capitalisation & Communication Unit is responsible – among other things – for the successful outreach to key players, with digital channels being a key way to reach all across Europe. By joining the URBACT team you will get a chance to experience the core activities from this unit! Support to other unit activities (organising meetings/events etc). CV and cover letter in English to be sent exclusively by e-mail to Thierry Picquart, Head of the Administration & Coordination Unit [t.picquart@urbact.eu] and Nuala Morgan, Head of the Capitalisation and Communication Unit [n.morgan@urbact.eu]. 6 months, ideally starting on mid-May 2019.